Green smoothies are a great way to replace your lunch or dinner. If you are feeling you need an extra boost midday, go ahead and have a green smoothie. A green smoothie is 1 part green vegetables, Lettuce, spinach, chard, bok choy greens, etc 1 part liquid, coconut water, or water, and 2 parts fruit. 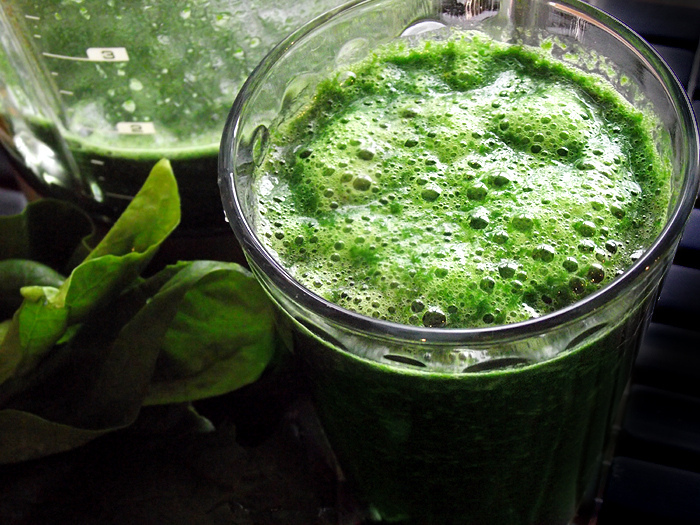 As your palate becomes more familiar with the green smoothies, go with less fruit and more greens for total cleanse. Here are a few of our favorite smoothies! Combine all the ingredients with the liquid in the bottom of the blender and blend until smooth.